One of Leroy and Mickey’s daughters, Lorrie Halseth, still resides at Harbor RV Park. She remembers the time when codes and laws were a little less stringent, and RVs were allowed to set-up on the bluff behind the park for an even better view of the ocean. She also speaks of an on-site RV parts store her family operated out of the park; they sold everything from to RV hoses and filters to RV toilet paper and even camper shells. She recalls impressing her husband when he saw her for the first time on a fork lift with 4” heels loading a camper shell onto a truck. In 1989, Jack Shaw purchased Harbor RV Park, and in 2003, after over a decade of ownership, he decided to sell it. In January 2014, the park was reacquired by the Shaw Family. 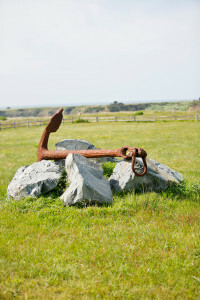 Harbor RV Park has been undergoing major renovations since the reacquisition. Repairs and upgrades are being made to the park with the goal of creating an exceptional vacation destination to provide guests with enjoyable and memorable experiences. 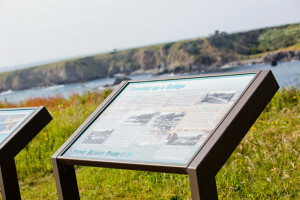 In 2006, the city of Fort Bragg opened Pomo Bluffs Park along the rocky bluffs adjacent to Harbor RV Park. Guests can enjoy a leisurely stroll along the meandering path that lines the rugged bluff and eventually leads to Pomo Bluffs Park.